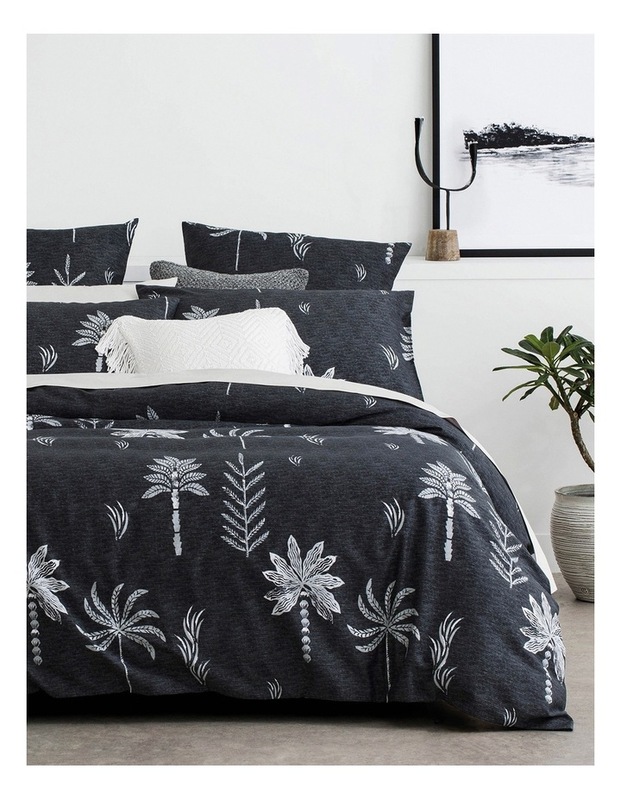 Our Night Palm design is a playful take on the nightscapes of the Far North Queesland landscape. Our in-house artists used a stamp technique to create palm designs on a printed texture. A contemporary artwork reverses to a square pattern, our Night Palm will bring a fresh and fun addition to any bedroom space.